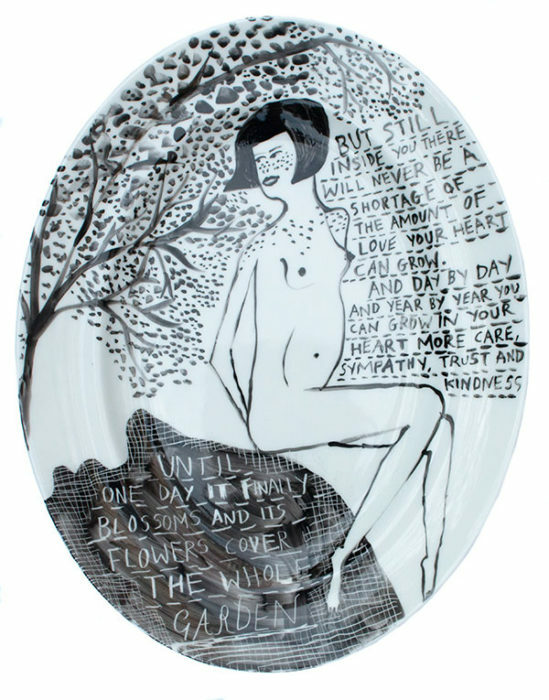 A one-off oval ceramic plate, hand painted and signed by Rob in our East London studio. ‘But still inside you there will never be a shortage of the amount of love your heart can grow. And day by day and year by year you can grow in your heart more care and sympathy, trust and kindness.